I just got back from Arizona & haven't even had a chance to upload my photos & re-cap our trip! I've actually barely had a chance to do my laundry either! I've been working 10 hour days this week so I can attempt to save up my vacation time for all of our fun trips next year! But... I'm taking off again this weekend for San Diego! 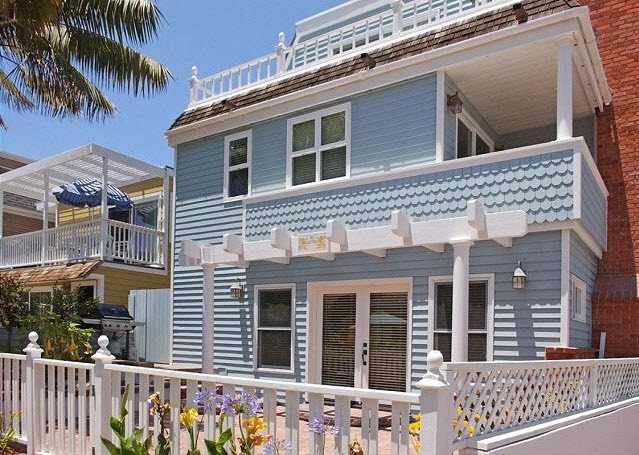 My friend Katie is having her Bachelorette Party there & her twin sister Kara rented the cutest little house in Mission Beach. I absolutely cannot wait to get there & start celebrating with those girls! This is our cute little house for the long weekend! How fun! What a good idea for a bachelorette party.